Yesterday my hubby’s birthday. 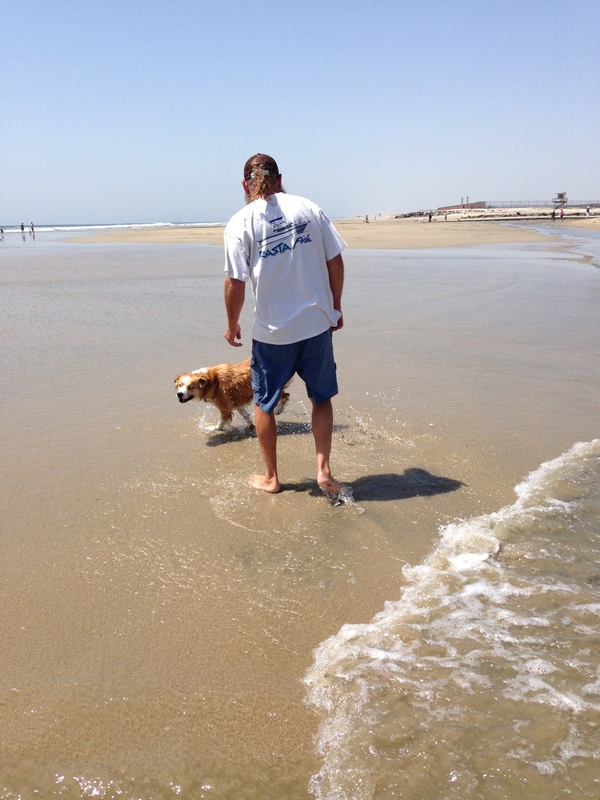 I decided we should all celebrate by spending the afternoon at Kona’s favorite place – dog beach! 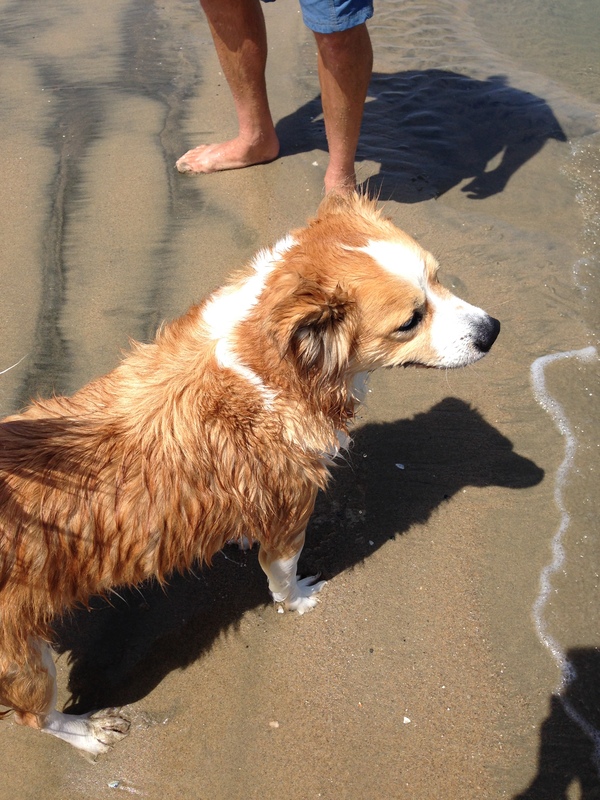 We always kick out of watching pups in all shapes and sizes frolicking and splashing around. Kona really does smile as he chase daddy into the waves. We are fortunate to live in a neighborhood of dog enthusiasts. Our house is across the street from an elementary school with a large fenced-in grass area, which turns into an unofficial dog park in the evenings and weekends. Since I tend to be somewhat introverted, Kona plays a key role in helping me get to know the neighbors. 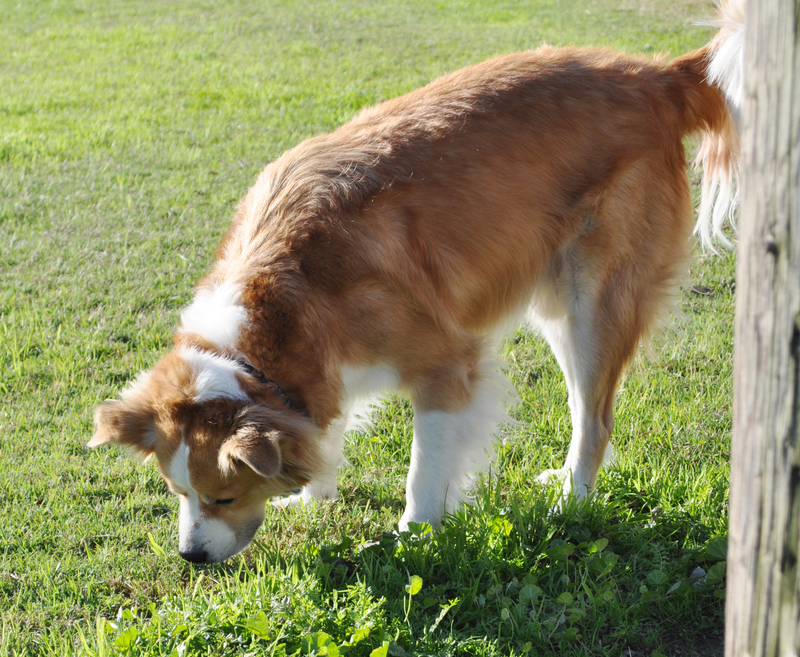 It’s really a win-win situation, because the dogs get to build their social skills as well. Getting to know my neighbors and their dogs continues to be a rewarding experience. I have come to appreciate dog folks – they really are a special breed!